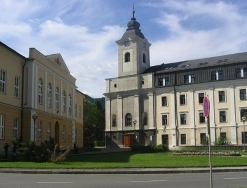 The XVI Slovak-Czech-Polish Mathematical Conference, Ružomberok, Slovakia, June 17 – 20, 2009, will serve as a forum for the exchange of scientific achievements and opinions between educational and research workers, will represent a broad cross-section of interests and results, and will bring fresh viewpoints and methods to its future participants. The Conference languages will be Polish, Czech, Slovak and English. Proceedings (Scientific Issues) of the conference (hardcopy) will be published at the end of 2009. Participants are encouraged to submit their contributions. Manuscript (in LaTex) up to six pages (maximal lenght) will be reviewed individually and admitted or rejected accordingly. The deadline for their submission June 30, 2009. The Conference Fee is 100 EUR. The Fee includes registration, Book of Abstracts, accommodation (3 nights), and social events.